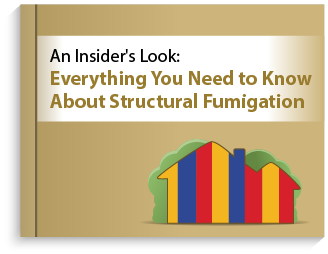 Structural fumigation is a pest control process that involves filling the air of a structure with a toxic gas. During the process, a tarp or tent is placed over the entire structure to trap the gas inside. The gas will then infiltrate every crack and crevice in your home, including the wood, in order to eliminate pests. This is commonly looked at as a “last-ditch effort” to get rid of whatever infestation you are dealing with.